Do you like The Princess Sent To Future? Share it with your friends. 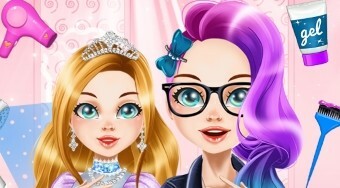 The Princess Sent To Future - help the princess who has moved herself by time machine from the Middle Ages to the present day to choose hairstyle and outfit in the way she fits in actual era.